Stillwater Paddleboards to host Coasting Launch this weekend! Central Victoria SUP school, Stillwater Padleboards will this weekend be hosting their Coasting Launch weekend at Lake Eppalock in Bendigo! 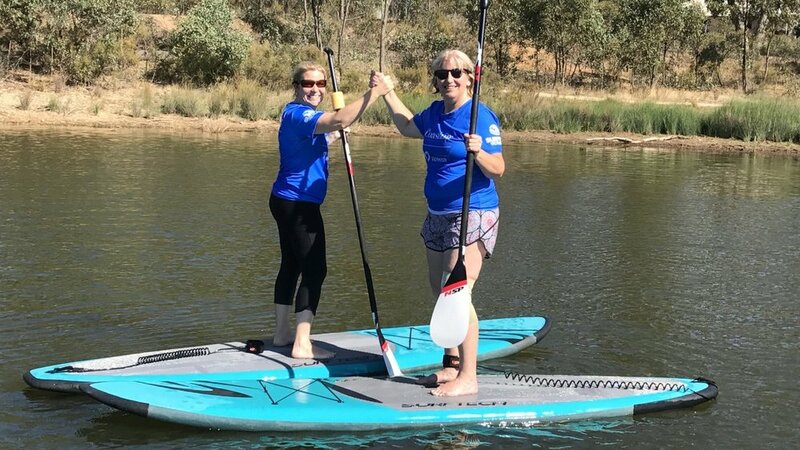 "We are pretty excited about our first 'Coasting' program this season we've added in a few extra treats for our launch weekend" said Stillwater Paddleboards owners Lola Makar and Jamie Gilmour. "We are so grateful to Kim from Surfing Vic to be joining us. We are promoting a family atmosphere by inviting participants loved ones and families at the end of our final session to come and join us for a picnic get together, that way the participants can show off their new skills and maybe even take their little ones out for a paddle." "We absolutely loved delivering the 'Coasting' program last season. It was great to see so many country Victorian women and girls appreciate being able to do the sport inland and locally. We got to be involved with their journeys over the three sessions, watched friendships form and skills develop at a really quick pace. Many participants have purchased their own SUPs and have fallen in love with the sport, and we still cross paths with them out on the water today." The program is a three session package @ 1.5hrs each. Starts Friday night 6pm for a sunset SUP, Saturday and Sunday mornings at 9.30am. Jump on to www.stillwaterpaddleboards.com.au to book in your session today!